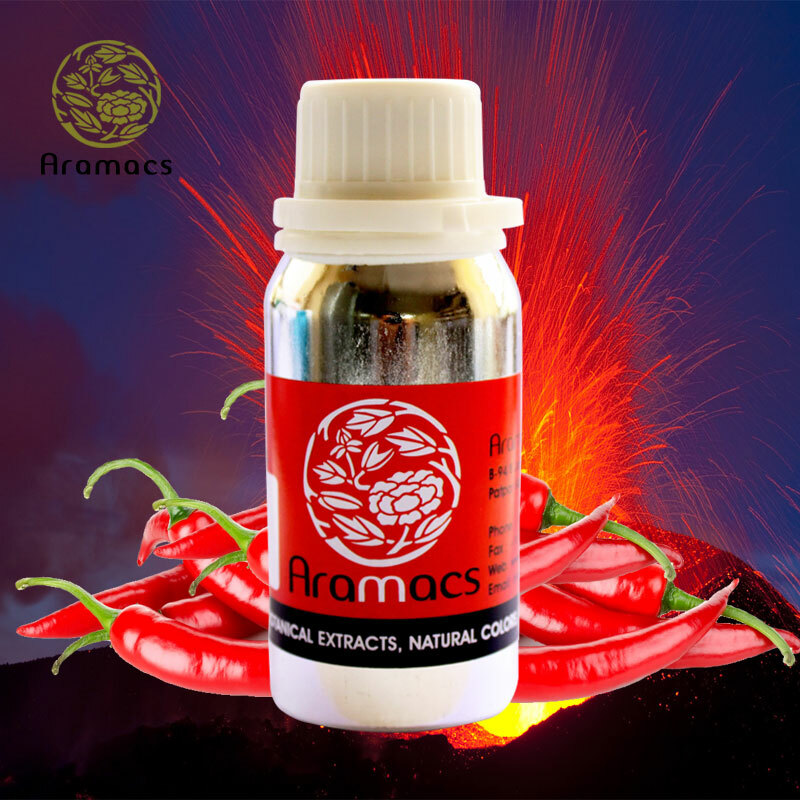 Capsicum Oleoresin is prepared by extracting the crushed capsicum (Capsicum Annum Linn) with volatile solvents by extraction. It contains the pungent components, capsicin not less that 8 percent. It also contains the red colouring matter as well. This product is a powerful irritant and a carminative, which is also used as a counter irritant in lumbago and neuralgia. It can also be used to treat stomach ache that involves poorly functioning stomach muscles and as an antibacterial agents. Description : Extract of Indian red chillies, Capsicum annum L. or capsicum frutescens L.
Appearance : Dark red viscous liquid parameters. Odour : Characteristic pungent odour of Chillies. Additives : Permitted additives to standardise the product. Spice Equivalent : Can be dispersed in dry/liquid carriers such as salt, dextrose, edible oils, lecithin, benzyl alcohol etc. Handling : Avoid contact with skin and eyes. Warm slightly and stir well before drawing the product from the container. Caution : Use only additives/diluents compatible with this product; use of non-compatible diluents /additives can lead to sedimentation. Add the proposed diluent/additive to a sample of the product in the same proportion and confirm absence of sedimentation prior.